Come along to our Community Garden launch. 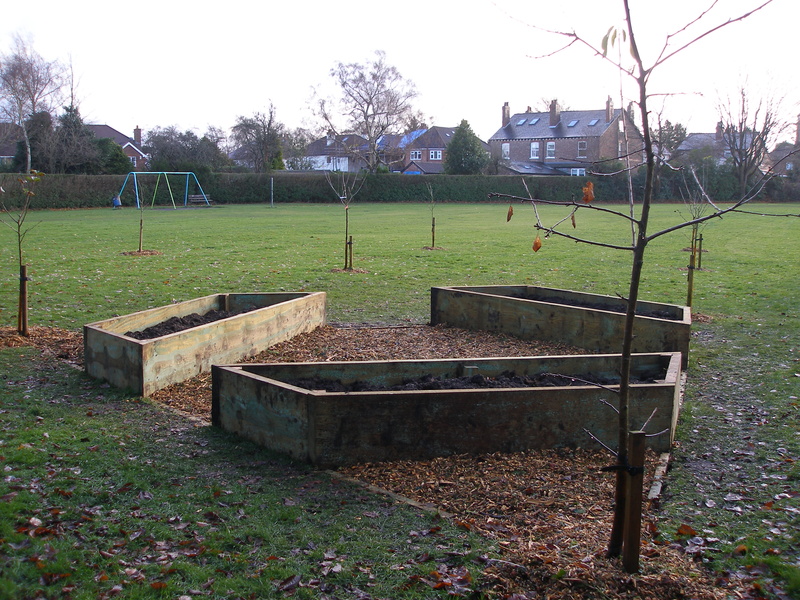 The project actually began 2 years ago when Transition Wilmslow first planted 10 fruit trees on the site with the help of Ashdene Primary School pupils and local councillors. Now it’s time for the vegetables! Perhaps you have surplus veg. seeds and seedlings to swap with other vegetable growers? Do you have spare seedlings you would be willing to help plant in the new Community Garden raised beds? We will be very grateful for all contributions, particularly Carrots, Turnips, Beetroot, Chard, Spinach, Lettuce of all sorts, Rocket, Pak Choi, Onions, Spring Onions, Broad beans, Peas. If you have them in biodegradable pots – even better, we can put them straight in the ground! The garden is seen as an education resource to inspire people to go home and grow their own. We are pleased to acknowledge financial support from a Tudor Trust grant (via Community Futures) and a donation from Wilmslow branch of Yorkshire Building Society. Frankland Tree Services, a local business, has supplied materials. You will find us at ‘The Temp’, Gravel Lane, between Cottage Grove and Beechfield Avenue. Refreshments will be provided. New members are always welcome to join our Food Group; get involved as we make plans for Stage Two of the garden development. Email transitionwilmslow@gmail.com for more information and to receive our monthly newsletter. This entry was posted in Events, Food, Green Spaces and tagged community, event, food, growing, Orchard, Sustainable living, Wilmslow. Bookmark the permalink.